outfit: blue jeans, white shirt. I kept it very casual and classy, with first choosing a white shirt and my beloved vintage Levi’s shorts. Then I added some of my “all-time classics” meaning the Gucci loafers and the super old but still beautiful Aigner belt. Combined with some sunglasses in the same color and a little bit of silver and golden jewelry – that is it..
outfit: nasty gal lace dress. 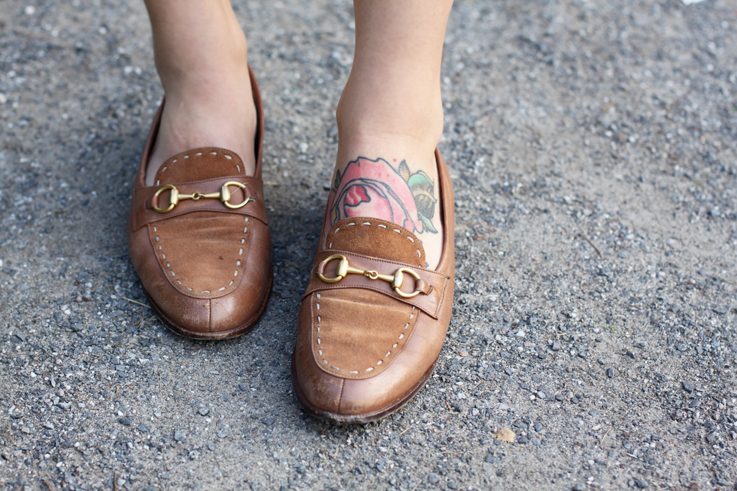 You look lovely in those shorts, and the loafers are perfect with it! Simple, but very lovely outfit! oha, ich liebe diese flohmarkt-brille!